Since 2008 Max held both management and developer roles with Magento. 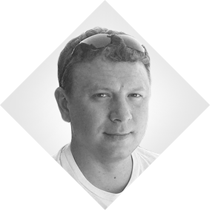 Started as a core developer in the past Max built 2 host offices in Ukraine and lead them as a Technical Director. During 2009-2011 he worked with Magento Expert Consulting Group (ECG former Professional Services), and also held position of Associate Technical Director. With ECG worked with Magento's largest accounts (Longines, Swatch Group, Easton Bell Sports, Harbor Freight Tools, Rejuvenation, Fiji Water and more) to help them achieve their online success. Starting 2011 Max managed about 40 engineers and lead Magento Platform, Magento Connect, Magento Mobile projects, as well worked on Magento 2, Magento 1 and Magento Go. From mid 2012 Max is a head of Magento Commerce Services, which includes Catalog, Payments, Checkout, Fulfillment, Orders and others domains, and manages teams in Ukraine and USA. Projects he is currently working with are Magento EE/CE, Magento Go, and Magento 2.